“No margin, no mission.” We all know that providing care for older adults is our mission, and that the only way we can continue this is to create a business that is sustainable. This means that organizations need a model that meets the needs of consumers and families, balancing quality of life with superior health outcomes. The Green House model provides a comprehensive transformation of an organization’s environment, philosophy and organizational structure to create an environment that is both highly desirable and delivers outstanding outcomes. This model is proving through experience and independent research, that it has the agility and potential to lead the field into the future. The Green House model, known during its early years for long term care, is now leading the way in short-term rehabilitation, creating a consumer-driven experience that leads to positive outcomes. The Woodlands at John Knox Village, a Love and Company client, has captured their market and secured a competitive advantage by leveraging the Green House model for short-term rehab. By focusing on the core Green House values of Real Home, Meaningful Life and Empowered Staff, this community is establishing credibility with physicians, Accountable Care Organizations (ACOs), and the consumer. 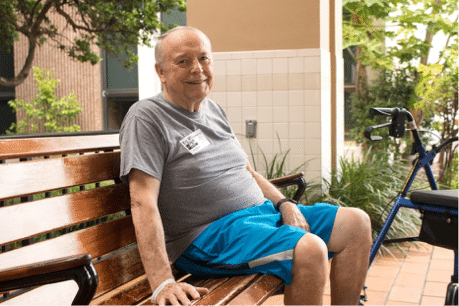 For example, discharge planners report that they feel confident in recommending John Knox Village because they know that clients will get great care and will be happy. In fact, because of the beautiful environment and excellent care, some are calling The Woodlands at JKV, the “Ritz Carlton” of rehabs. Older adults recover in a setting that promotes recovery and wellness. Private rooms for every senior support restful sleep, and private bathrooms with showers improve hygiene – all resulting in faster recovery. The homes’ small size and open layout encourages seniors to socialize and stay active. Patios, screened porches and gardens provide direct access to fresh air and sunlight. Together, the short distances between spaces and the easy access to the outdoors encourage activity, and in turn, a quicker recovery. The best place to prepare to return home is in a real home. Older adults re-learn how to thrive in a home setting all day every day – because every room looks and feels like what they’ll find at home. The model’s small size and familiar feel creates an especially good rehabilitation setting for seniors living with dementia. An extensive training curriculum. Staff receives 128 hours of additional education beyond what’s typically required for CNA certification. That education places heavy emphasis on person-directed care. The unique, versatile care worker model that Green House uses also creates CNAs who are more empowered and engaged with the rest of the care staff. John Knox Village represents the 200th Green House home to open around the country, and has joined a growing cohort of organizations who are focused on person-directed living as a way to position themselves as the preferred provider in a rapidly changing field. For over 10 years, The Green House Project has been an industry leader in transforming senior health care by creating viable homes that protect, sustain and nurture. They partner with organizations, advocates and communities to foster this transformation. For more information on the Green House Project and how Love & Company works with them to foster innovation in senior health care, please contact Tim Bracken at 410-207-0013 or Rick Hunsicker at 214-906-3801.